According to a new study in Luxembourg, survivors of heart attacks are three-times more likely to get depression within six months than people whose hearts are fine. Here is what you need to know. First off, after having a heart attack, depression might seem like a joke, paling in comparison. But, depression in any form is a serious condition. If left untreated, it can put a survivor at risk of future cardiac events, which of course always carry the risk of death. What we don’t know yet is what is causing a high prevalence of depression in heart attack patients. Researchers interviewed 36 cardiac patients three times; the first, soon after their first heart attack, then six to eight weeks later, and then at six months. They were asked about fatigue levels, general health, disease-specific symptoms, work, and family life. It also included questions meant to find out how people were coping with the experience of having a heart attack. 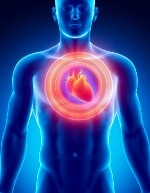 This may be the first time that we find out that the way patients perceive their heart attack has an immediate effect on their risk for developing depression. The researchers found that if a person continues to see their heart attack as a serious threat, they will more likely experience depression—even weeks later. But, if a person can train their thoughts on recovery and seek support from friends and family, then he or she greatly reduces their risk of depression. The health advice here is that heart attack patients must do what they can to gain a more positive outlook on life. It might be hard after a life-changing event such as a heart attack, or by the same token, it might not be so hard at all. Work with your doctor or cardiologist to get the proper psychological interventions, which may protect you from the scourge of depression. A smooth recovery is at stake. Vogele, C., et al., “Cardiac threat appraisal and depression after first myocardial infarction,” Frontiers in Psychology—Psychology for Clinical Settings 2012; 365: 1–12.